Surfacing of the vast network of roads in India is predominantly done with conventional bituminous binders. In recent years, the increasing traffic loads and tyre pressures have created a situation that requires modified bituminous binders with enhanced performance. However, current specifications and guidelines for the selection and use of different types of modified binders such as polymer modified bitumen (PMB) and crumb rubber modified bitumen (CRMB) are inadequate. This article evaluates the contemporary situation with regard to the use of modified bituminous binders in India. The development and use of modified bituminous binders in Europe and North America was kept in perspective while making recommendations for the use of modified binders in India and identifying current imperatives. Europeans were clearly ahead of the US in the 1970s in developing and using modified bitumen binders. The following factors provided the impetus for development of modified bitumen binders during that period. The cost of bitumen had increased substantially making the modification costs more attractive and within reach especially in view of long term benefits. European highway authorities expect innovation in bituminous road construction technology emanating from contractors who often warrant the performance of bituminous pavements. These warranties provided financial incentive to the contractors for using higher quality materials which reduce life cycle costs. During the early and mid 1980s, the use of polymer modified bitumen (PMB) proliferated in the US as newer polymers were developed; European binder and mix technologies were introduced; rutting started to become a major problem due to heavy loads and high tyre pressures; and the concept of lower life cycle costs became better understood. Different types of modified bitumen containing elastomers and plastomers were introduced and promoted for use by the highway authorities in the US. Many of the products were patented so their real composition was not known. No unified European guide specifications were available for use in the US. This created confusion in implementing modified bitumen technology. To alleviate the complex situation, Task Force 31 was created to develop national guide specifications for different types of polymer modified bitumens. Since polymer modified bitumens were of different types (such as elastomers and plastomers) it was neither technically possible nor desirable to have a common specification for all types. Therefore, three separate guide specifications were developed in 1992 by the Task Force for PMB (elastomer), PMB (elastomer latex), and PMB (plastomer). Later, the American Society for Testing and Materials (ASTM) followed suit and developed specification individually for each class of modified bitumen during the 1995-1997 period. There was a need for developing performance based specifications for all road paving bitumen binders which should be blind to the type of modification or refining process. A 50-million dollar, 5-year Strategic Highway Research Programme (SHRP) was undertaken from 1987 to 1992 to develop a performance based grading system for bitumen. The Superpave performance grade (PG) bitumen is based on climate and varies accordingly. The use of modified bitumen increased significantly after the PG grading system was adopted in the US because some PG grades with a wide range of maximum and minimum temperatures cannot be made with unmodified (neat) bitumen. 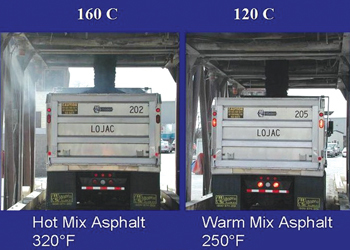 PG 64-22 (equivalent to India’s VG-20 bitumen grade) is the most commonly used paving bitumen in large parts of the US. However, this grade is “bumped up” two grades for use on heavily trafficked roads. That is, PG 64-22 is bumped up to PG 76-22 which can be produced only with modification. PG 76-22 is also suited for use on India’s heavily trafficked roads. However, it was realised that SHRP research was conducted on unmodified bitumen only and therefore, Superpave PG specifications may not completely cover the requirements desired from modified binders. Therefore, many states in the US adopted the so-called “PG Plus” specifications for modified bitumen binders. Under these specifications, some states require empirical tests such as elastic recovery in ductility test to ensure that the modified bitumen does have adequate amount of elastomeric polymer. The term “polymer” simply refers to a very large molecule made by chemically reacting many (poly) smaller molecules (monomers) with one another either in long chains or clusters. The sequence and chemical structure of the monomers from which it is made determines the physical properties of a specific polymer. Polymers most often used in modifying bitumen can be grouped in two general categories: elastomers and plastomers. As the name implies, elastomers can be stretched like a rubber band and recover their shape when the stretching force is released. Therefore, elastomers have the ability to resist permanent deformation (rutting). Several different types of elastomeric polymers are used for modifying bitumen. Examples are: styrene-butadiene-styrene (SBS) block copolymer; styrene-butadiene rubber; styrene isoprene styrene (SIS); and ethylene terpolymer (ETP). Plastomers form tough, rigid, three dimensional networks within the bitumen. These plastomers give high initial strength to the bitumen to resist heavy loads. However, they have lower strain tolerance and may crack at high strains. Examples of plastomers for modifying bitumen are: ethylene vinyl acetate (EVA); ethylene butyl acrylate (EBA); polyethylene; and ethylene-methyl-acrylate (EMA) copolymer. Most highway agencies in the US primarily specify and use elastomers; plastomers are hardly used. During the time period when highway engineers in the US were trying to understand complex polymer modified bitumen (PMB) systems as previously discussed, came another far more complex and least understood modified binder: crumb rubber modified bitumen (CRMB). In the US, CRMB is simply called Asphalt-Rubber (AR) binder. Rubber from discarded tyres is ground to a particulate or crumb prior to adding it to bitumen to produce CRMB. The use of AR or CRMB was sporadic in the US until 1991 when the US Congress mandated its use in all 50 states through central legislation. Since most of the states did not have any experience in using CRMB, the US Federal Highway Administration (FHWA) undertook an ambitious practical training programme for state highway engineers. The training manual co-written by this author emphasised the importance of stringent quality control requirements right from the production of the CRMB at, or in close proximity of, hot mix asphalt plant; transportation of CRMB from production site to asphalt mix plant; storage of CRMB in contractor’s plant; and final testing of CRMB just prior to adding it to aggregates in asphalt plant pug mill or drum. During the mandate, all 50 states in the US used CRMB in numerous bituminous paving projects from 1991 until 1995 when the mandate was repealed. Thereafter, most states discontinued the routine use of CRMB in bituminous paving mixtures. There are three primary reasons for this. First, the use of CRMB requires development of a statewide infrastructure consisting of strategically placed on-site blending units near hot mix plants. This is required because (a) crumb rubber tends to separate and settle down in the bitumen and (b) crumb rubber is prone to degradation (devulcanisation and depolymerisation) and its quality can start to deteriorate as early as 6 hours after production. Second, many states such as Arkansas, Georgia, Kansas, Minnesota, Nevada, Washington, and Wisconsin have reported mixed performance of bituminous pavements constructed with CRMB and the cost effectiveness of CRMB was found to be none to marginal. Third, most states now use Performance Grades PG 76-22 for heavily trafficked roads. The CRMB cannot meet PG 76-22 specification requirements. The past decade (2001-10) marked a major surge in the use of modified bitumen for roads and airports, especially the use of crumb rubber modified bitumen (CRMB) and polymer modified bitumen (PMB). The Indian Roads Congress (IRC) brought out a special publication (IRC:SP:53) in 1999 to provide tentative guidelines on the use of modified bitumen in road construction. Although that publication had four different specifications for PMB (elastomer), PMB (plastomer), CRMB, and natural rubber modified bitumen (NRMB), unfortunately it was implied that their performance was equal in absence of any recommendations for their use for specific traffic and/or climatic conditions. In another setback, IRC:SP:53 was revised in 2010 with one notable feature in that the specifications for different types of modified binders were unified into one specification irrespective of the modifier type or its concentration. Obviously, to accommodate the CRMB, the minimum elastic recovery requirement was reduced for all modified binders including PMB with elastomer. Fortunately, most progressive contractors are not using the downgraded 2010 version of IRC:SP:53; they would rather use PMB with elastomer which meet the enhanced elastic recovery requirement as in 1999 version of the IRC:SP:53. There is gross inadequacy of published data in India on relative field performance with and without different binder modifications under typical conditions of loading, climate, and their combinations. Until relative field performance data is obtained in India, there is no other recourse but to rely on similar data or experience in the developed countries. It has been well established that modified binders made with different polymers (elastomers and plastomers) and different modifiers (crumb rubber and natural rubber) cannot have a common specification. Each type must have its own separate specification similar to AASHTO, ASTM, IRC:SP:53-1999, or IS: 15462. In case of a common specification like in IRC:SP:53-2010, the following consequences are expected: (a) lowering the requirements to the level where a weak modifier like crumb rubber can also qualify, would lower the performance standard for all modifiers; (b) suppliers of better and more expensive products will tend to downgrade the quality of their products so as to be more competitive pricewise if that is the criterion for decision making; and (c) lowering the quality will come in the way of producing still better products thus having a negative effect on further R&D activities. The following recommendations are made for use of modified binders in India. Polymer modified bitumen (PMB) with elastomers is most commonly used with success on major highways in the developed countries because elasticity in this PMB provides resistance to both rutting and fatigue cracking. Superpave performance grades have been made successfully with these PMBs. PMBs with elastomers are therefore recommended for heavily trafficked roads in India. Polymer modified bitumen with plastomers are hardly used in flexible pavements in the developed countries because although they provide higher strength initially, they are prone to cracking at high strains and do not rebound after deforming force is removed. Therefore, there is no need to have a specification in India for PMBs with plastomers to avoid its unnecessary and improper use. No high performance grade PG grade such as PG 76-22 can be made with CRMB because it lacks adequate elastic component. If India were to adopt PG grading today, PG 76-22 would be recommended for heavily trafficked roads. Therefore, CRMB is not recommended for use in India on heavily trafficked roads. If CRMB is considered for use on medium trafficked roads, it should have its own separate specification and should be specified as such for specific projects. This is because its elastic recovery is considerably lower than that of PMBs with elastomers. If CRMB is specified for medium trafficked roads, it should be blended on site in close proximity of hot mix plants so that it can be used within 6-8 hours after production. Claims that the so-called “chemically modified” CRMB in India does not have settlement and/or degradation problems have not been validated as yet with any reported meaningful field test data. Obviously, if on-site blending is done, a fully equipped testing laboratory staffed with qualified technicians should be mandatory at the blending terminal. Use of any modified binder in bituminous mix on low volume rural roads such as PMGSY is detrimental to their durability. The current practice of using CRMB in such applications should be discontinued. IRC:SP:53-2010, “Guidelines on Use of Modified Bitumen in Road Construction” must be revised immediately by deleting the common specification table for all types of polymers and modifiers so that substandard PMB is not used in India. There is no need to have any specification table for modified binders in this publication. Rather, reference should be made to current edition IS 15462, “Polymer and Rubber Modified Bitumen – Specification”. Revised IRC:SP:53 must state only PMB (elastomer) should be used for heavily trafficked roads. No recommendation should be made for PMB (plastomer), its use is not advised for flexible pavements in India. Revised IRC:SP:53 must state CRMB can be used on medium trafficked roads only. Its use on low volume roads should be banned. CRMB must be blended on site so that it can be used within 6-8 hours of production. A fully equipped testing laboratory staffed with qualified technicians must be required at the blending terminal. 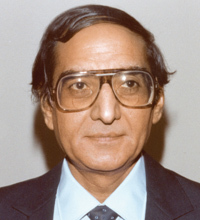 ( Prof Prithvi Singh Kandhal is Associate Director Emeritus of the National Center for Asphalt Technology (NCAT) based at Auburn University, Alabama, U.S.A. He served as Chief Asphalt Engineer at the Pennsylvania Department of Transportation for 17 years ).